What can we in Scotland learn from Denmark? In particular does Denmark offer us any guide as we approach our referendum on Scottish Independence? Returning from a wonderful holiday in Denmark does not make me any kind of expert on things Danish. However, even a brief visit shows that there are some very positive lessons for us to learn from our Nordic neighbour. And all this without the “benefits” of oil or nuclear weapons. This would seem to be a lesson, not just for Scotland, but for England too. The smaller and less military powerful Denmark became, the more prosperous she became. The losses of territory generated a profound debate among Danes about their country and led to a much more nationalist outlook. The National Museum for Art even has a room dedicated to this debate on Danish identity and nationalism. Though this at times took the form of hostility to foreigners, the majority of Danes have always rejected this form of nationalism. For decades now Denmark has been one of the most open and co-operative countries in the world. The section in the National Museum which covers Danish art subsumes this within the wider frame of Danish and Nordic Art. Denmark also works closely with its neighbours through the Nordic Council. This co-operation is not just at government level, but extends to business ventures. Most people will have heard of SAS, the jointly owned airline which operates on behalf of all three Scandinavian countries. With the building of the bridge linking Copenhagen with Malmö a new cross border rail company was set up. 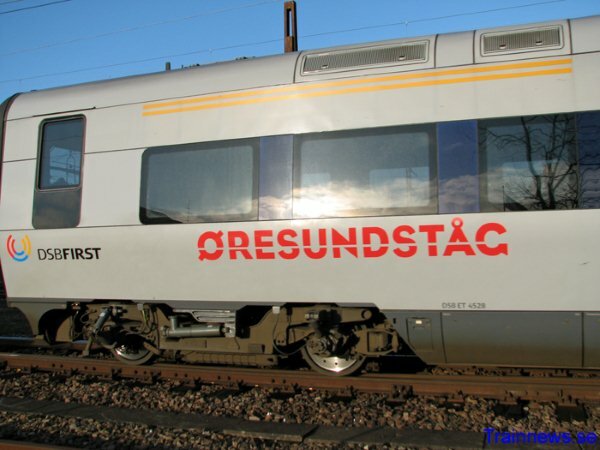 This service covers most of southern Sweden and the area to the north of Copenhagen. The lesson here is that working jointly and co-operatively with your neighbours is the norm in Europe today. Nobody exists or wants to exist in splendid isolation. Yet Denmark retains and values its independence, as does Sweden and Norway. The people of these countries must be bemused by the scare stories from British Unionists as to how independence will mean the end of joint working and co-operation between Scotland and the rest of the UK. From what we saw on our recent trip, Denmark is a very beautiful country. 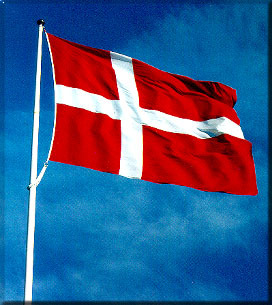 It is also clear that the Danes are immensely proud of their country and proud to be seen to be Danish. The national flag was to be seen flying everywhere. Across streets, in windows, in gardens and just about anywhere. It must have struck Danes as rather odd that some Scots could regard displaying the Scottish flag at sporting events as something to be frowned at. The lesson here is that while Denmark has its own problems, Danes do not talk their country down. Nobody in Denmark is ever likely to suggest that their country would be better off by becoming a part of a larger country. It can be the same for us in Scotland. We too can become a more prosperous and more equal society. Just like the Danes did, we can use our talents and our resources to build a better future for all. One we can all be proud of.